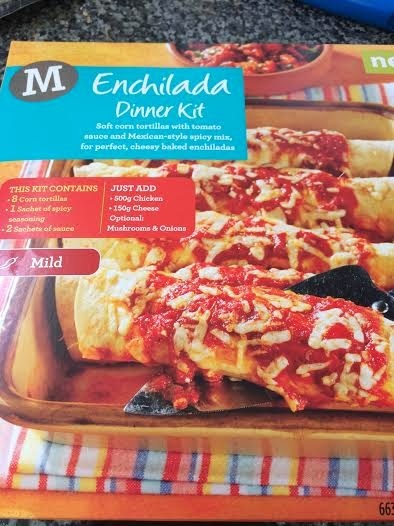 A few week's ago I received an e-mail from Britmums inviting me to be a Morrison's mum for the May bank holiday weekend, which meant I would be sent £80 worth of Morrison's vouchers to do my grocery shopping and then write about my shopping experience and the quality of the food. Of course, I jumped at the chance as I love shopping at Morrison's, it is actually where we always go for our food shop. 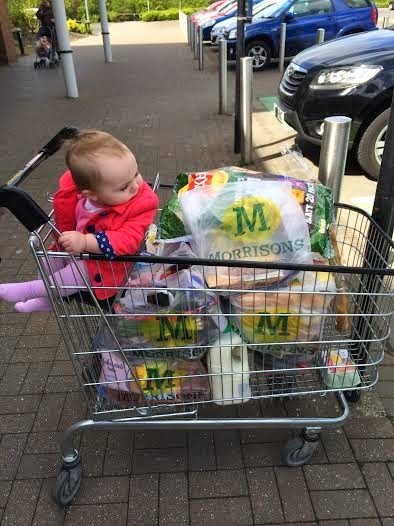 I even use to go to Morrison's every weekend food shopping with my mum when I was a child. 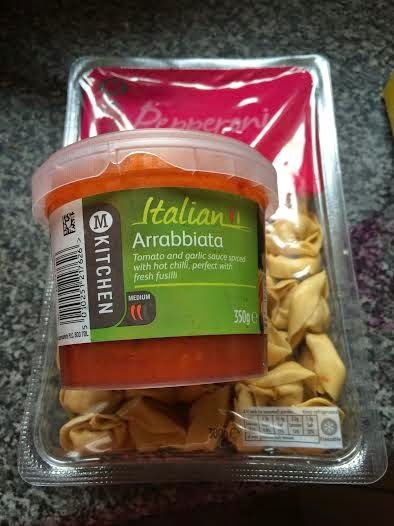 Morrison's have recently announced lots of new price cuts on everyday items so I was keen to see if I would notice a difference in my shopping bill. ﻿﻿I arrived to do my food shop on Friday the 2nd of may at the Killingworth store in North Tyneside, which is where we always go as it is close to where we live. The car park was very busy but we managed to find a parent and child space close to the store no problem, which is always a bonus when you have an 11-month-old with you and you are almost 6 months pregnant. Even though the store was busy there was lots of staff on the shop floor and all the shelves were fully stocked and nothing on our list was out of stock. The thing that I love most about Morrison's compared to other supermarkets is their market street, it is the only supermarket I know that has such an extensive range of fruit and vegetables, a fishmonger, a salad bar, deli counter, hot pie counter, hot snack counter, bakers and butchers all with staff behind the counters to serve you. The new price cuts were clear to see as there was lots of yellow 'I'm cheaper' signs dotted all over the store on many everyday items. I was pleased to see that even though they have the new price cuts they still had a huge selection of special offers in store also. Another huge bonus for me was that a lot of baby items were a lot cheaper and on special offer too, Johnson's baby wipes were only 89p and we got 54 pampers baby dry nappies for £9 when they are normally £12 everywhere else. Morrison's also stock some lovely children's clothes in their Nutmeg range which I have brought both my girls (aged 11 months and 11 years old) in the past and they really are affordable and wash lovely. I spent just over £80 on my shopping but we had enough food to last us the week plus nappies, baby milk and baby toiletries and lots of extra treats that I would not normally buy. So I have to say that yes my food shopping was a lot cheaper then it normally is as I normally spend about £100 on a weekly shop. The other half was working most of the bank holiday weekend and we were out at a family christening on Sunday but we still had a lovely family bank holiday weekend and made some lovely meals with are shopping from Morrison's. 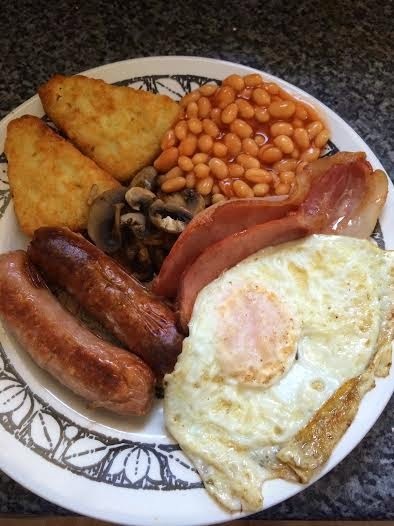 We started off our bank holiday weekend with a fry-up of bacon, sausage, egg, bean's, hash browns, mushrooms and toast. For the three of us (Sophia is too young), it worked out at only £1.37 per serving. The Morrison's pork sausages were lovely and meaty. 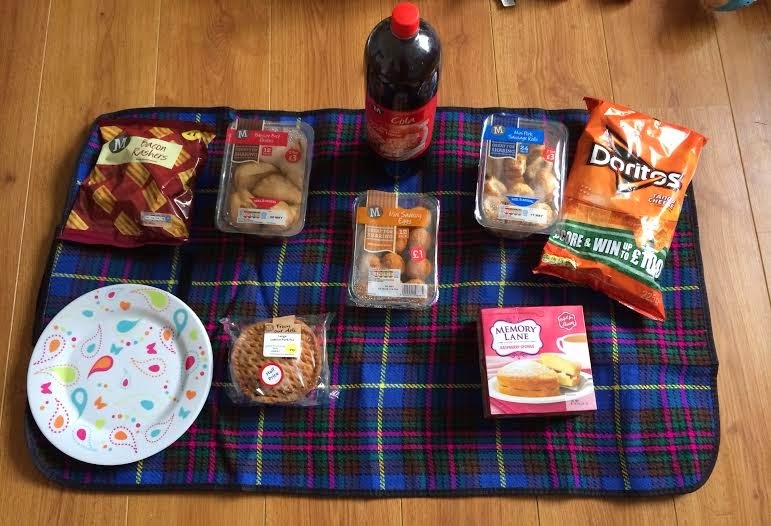 We had planned on going to the park for a picnic, but living in the north east the weather is often not great, so we opted for an indoor picnic instead with some party foods we had brought. This worked out at £7.82 for all the food shown on our indoor picnic. 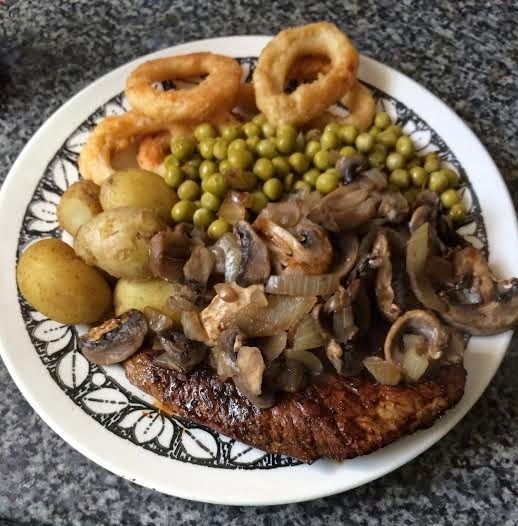 We also had steak with Jersey royal potatoes, peas and mushrooms with onion rings with some steaks I picked up on special offer in store and this again was a fairly cheap meal at £2.27 per serving. I am not a great cook and as I am often so busy taking the girls to various activity's, so I also brought a few ready meals. We got fresh pasta and sauce which was £3.00 for the pasta and sauce and the portion was huge and we got some fresh pizzas which were really nice and a big hit with the 11-year-old at 2 for £4.00. We had the pizzas with some snacks to watch Britain's got talent and had a lovely relaxing Saturday night in. 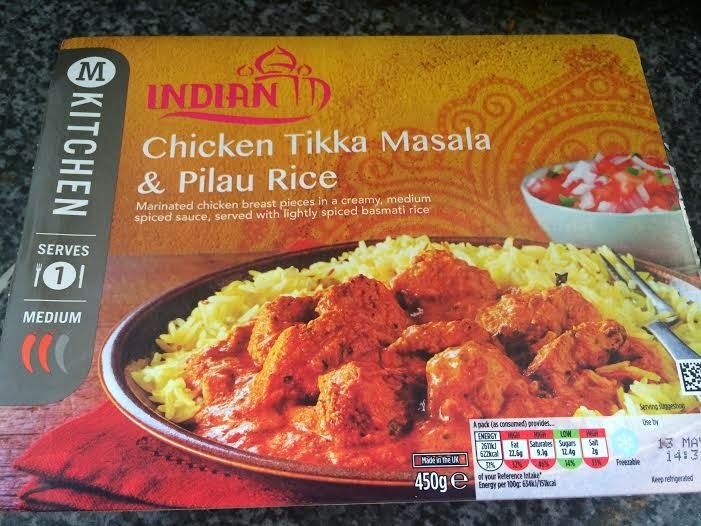 We also got a few Mkitchen chicken tikka & rice ready meals as they were on offer at only £1.90 each. I am not normally a fan of microwave meals and tend to avoid them but this was such a lovely curry the rice was nice and soft and the curry sauce was so nice and I was shocked to find that there were at least 10 big pieces of chicken in each meal, normally you hardly get any meat in ready meals, I will defiantly be buying these again. 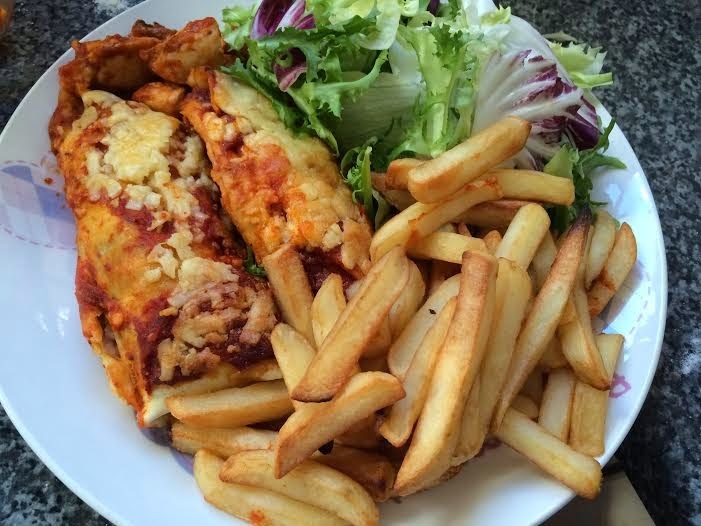 We picked up an enchilada kit in store which was only £1.99 , I don't normally make this but it was so easy and quick to make we just added chicken and cheese and served it with a side salad and oven chips it tasted so nice and we had clean plates all around. 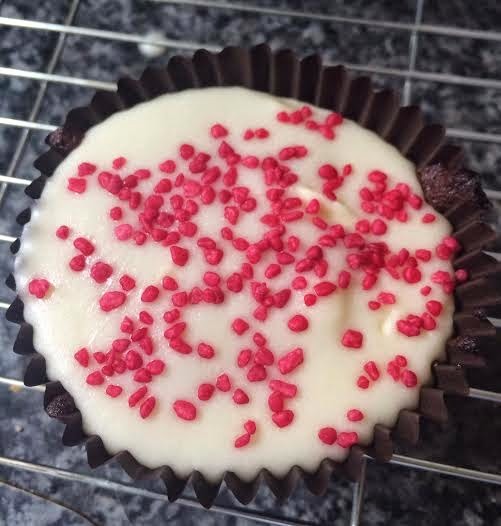 And lastly, my oldest daughter is always asking to bake as she loves baking and wants to be a cake maker when older but I am useless at it so I brought her a box of Morrison's red velvet cupcake baking kit which was £1.69. It was super easy and she actually made the cakes all by herself with no problem and they tasted delicious. We had a fantastic bank holiday weekend and some delicious food thanks to Morrison's. The new price cuts certainly reduced are shopping bill and we will continue to shop at Morrison's as we love the quality of the food . The only negative thing I can say is please hurry up and bring your on line home delivery service to the north east as when I have baby number three I will sometimes struggle getting to your stores and will need to rely on online shopping. 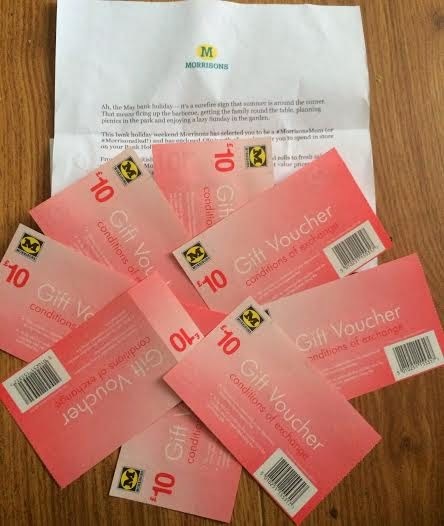 * Disclosure : I was kindly sent £80 worth of Morrison's vouchers for the purpose of this post but all words and opinions in this post are my own honest account.